It’s time for investors to stop fighting the last war. The next downturn most likely won’t be triggered by another meltdown of the financial system. The Federal Reserve has concluded its stress test of big banks, a look into whether they have enough money set aside to withstand another 2008-type financial crisis. The Fed announced last week that all 35 banks examined are sufficiently capitalized. It disclosedthe second and final round of results on Thursday afternoon, giving all but one bank a passing grade and the go-ahead to return money to shareholders. 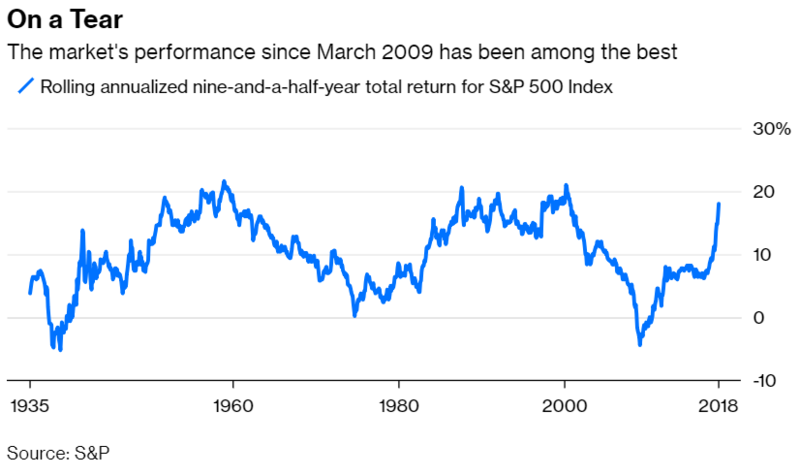 Investors didn’t need the Fed to tell them that banks are in better shape than they were a decade ago. The signs are everywhere. Profits have fallen across the industry since the financial crisis, an indication that banks are taking on less risk. 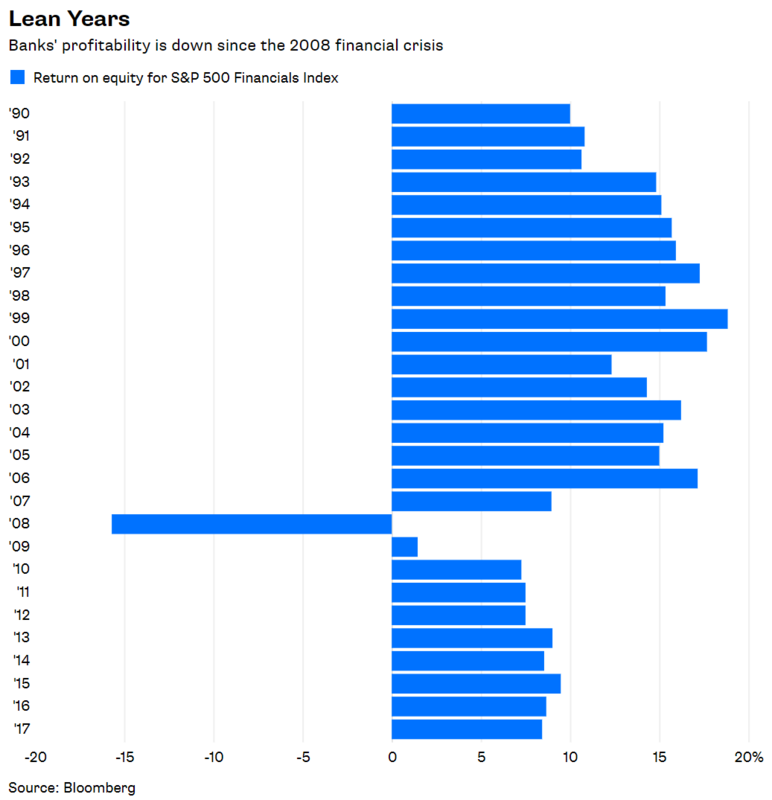 Profit margins for the S&P 500 Financials Index averaged 9.3 percent from 2008 to 2017, down from an average of 13.8 percent from 2003 to 2007, the years leading up to the crisis. Return on equity is down to an average of 5.2 percent from 14.5 percent over the same periods. President Donald Trump fancies himself a disruptor, so it’s not surprising that Stanford economist John Taylor is on his shortlist to head the Federal Reserve. But whether or not Trump taps Taylor for Fed chief, Taylor’s rules-based approach to monetary policy is in the Fed’s future. The so-called Taylor rule is a formula that he proposed in 1993 for setting the federal funds rate — the overnight bank lending rate used by the Fed to fight inflation or stimulate the economy. It challenges the Fed’s traditional reliance on the Federal Open Market Committee’s ad hoc judgment.